Pocketburgers.com: Granddad at 29... but hospital staff demand his ID because they think he's too young to be the FATHER! Granddad at 29... but hospital staff demand his ID because they think he's too young to be the FATHER! 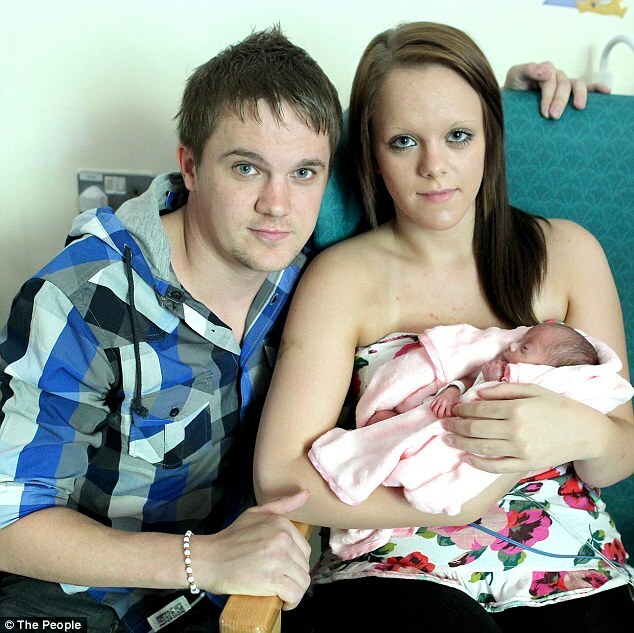 A 29-year-old man who has become one of Britain's youngest grandparents was left red-faced after nurses asked him to prove he was over 16 as he tried to visit his daughter's baby. 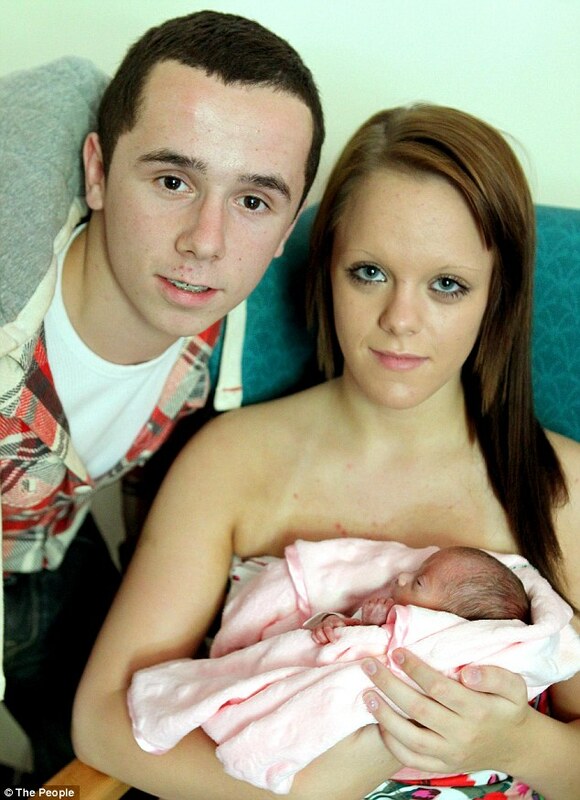 Unemployed Shem Davies was overjoyed when 14-year-old Tia gave birth to Gracie earlier this month. But when he tried to visit the ward, maternity nurses thought the fresh-faced granddad was in fact the teenage father of Gracie and asked him to prove his age. Shem and former girlfriend Kelly John, 30, became parents to Tia at the age of 15. Their daughter's boyfriend, Jordan Williams, is 15. Shem said: 'It is an absolute joy to see Gracie thriving. I'm incredibly proud of Tia. She'll be a brilliant mum. At first I wasn't overly pleased that she was pregnant but I soon got over than. Now it's all about being positive. 'I've got to know Jordan and he's shaping up to be a decent young man,' Shem told The People. 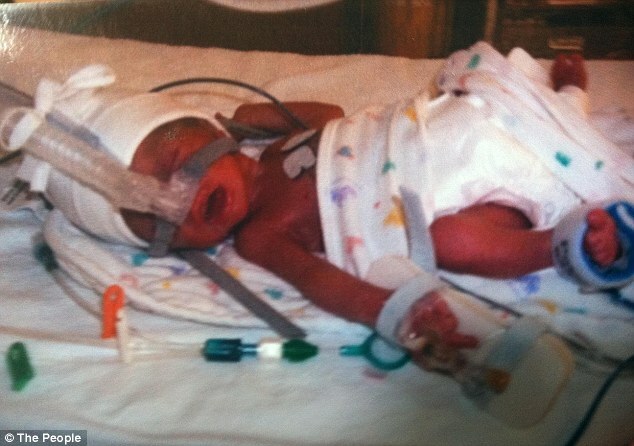 But the arrival of Gracie wasn't easy as Tia was diagnosed with pre-eclampsia, seven weeks before her due date. Worried doctors decided their best option would be to deliver the tot by Caesarean section. The condition, which often leaves expectant mothers with high blood pressure and protein in their urine, could lead to life-threatening symptoms for both mother and baby. Tia said the contrast between the carefree fun of the school playground and then the fear of death for her and the baby was something she would never forget. Happily after a 25 minute operation Gracie was born but only weighed 2lb and was rushed to the special care unit at the Princess of Wales Hospital in Bridgend, which is close to the family home. Little Gracie is still being kept in an incubator but has managed to put on enough weight which means she will be allowed home in a few weeks. 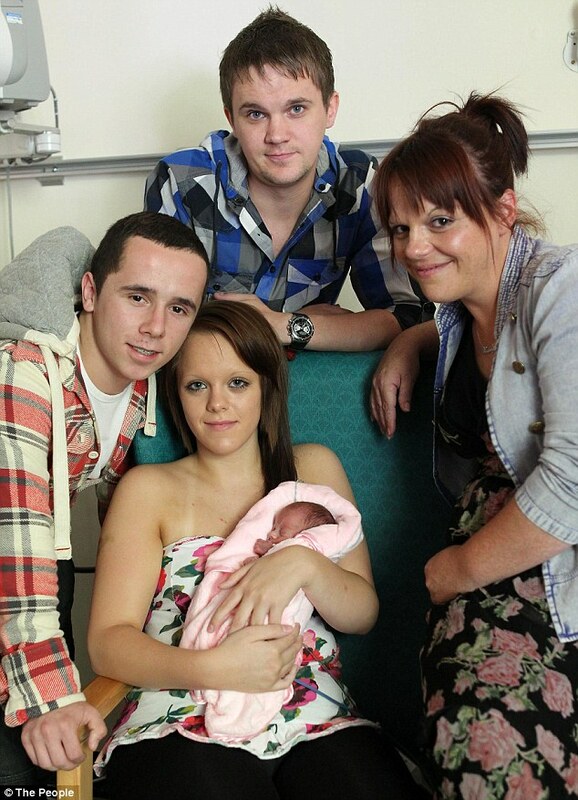 A week after Gracie was born Tia celebrated her 15th birthday in the ward surrounded by friends and family. The teenager, who has been dating Jordan for 18 months and wants to be a hairdresser, said she didn't plan on celebrating her birthday in hospital but added that her baby daughter was the best present she could ask for. Once mother and daughter have been released from hospital they will be staying with grandmother Kelly so that Tia can finish school. Grandad Shem, who has a young son of his own, said he is keen to get stuck in and help Tia and Jordan settle into life. Despite her young age, mother Tia says that she would not be happy if newborn Gracie became pregnant at 14 but that she would do as her mum did, which is respect her choice to have a child. She also paid tribute to her mother, who was 15 when she was born, saying that she could not have wished for a better parent and role model adding that they have a very close relationship. Britain's high teenage pregnancy rate means that many more young people in this generation are set to become grandparents in their late twenties and early thirties. The latest figures show in 2009 38,259 girls under 18 became pregnant, but nearly 50 per cent had a termination. The UK still leads the way when it comes to young mothers, and our rate is five-times higher than in the Netherlands and twice that of France and Spain.